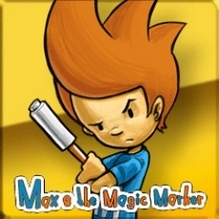 Max & the Magic Marker was delisted from Steam no later than August of 2015. This is the month when its availability was brought into question on the game’s Steam Community forum. However, it may have been delisted as early as 2012 after the announcement that developer Press Play had been bought by Microsoft. The game had also been released through its original publisher The Games Company, on Nintendo’s Wii Shop Channel, and on Desura, but all of these storefronts shut down independently, taking the game off of sale on these platforms. As of this writing the game remains available as a digital exclusive on PlayStation 3 where it is now published by PAN Vision AB and on iOS. Physical versions of the original release are available for Nintendo DS and PC.